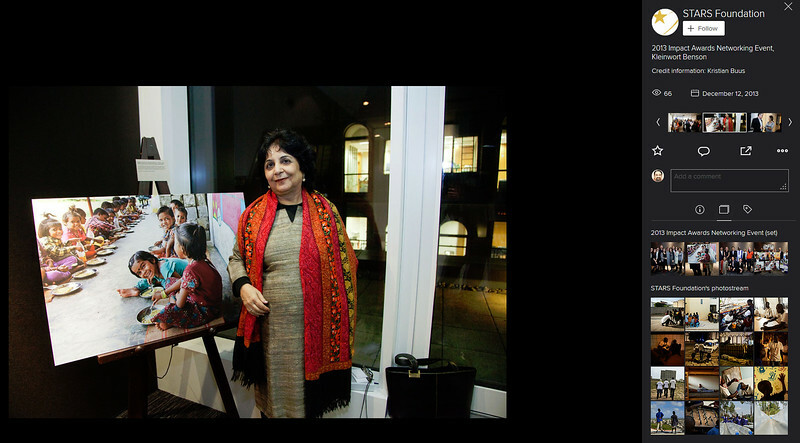 Mobile Creches works with birth to 12 year old children living on the construction sites and slums of Delhi(NCR) since 1969. 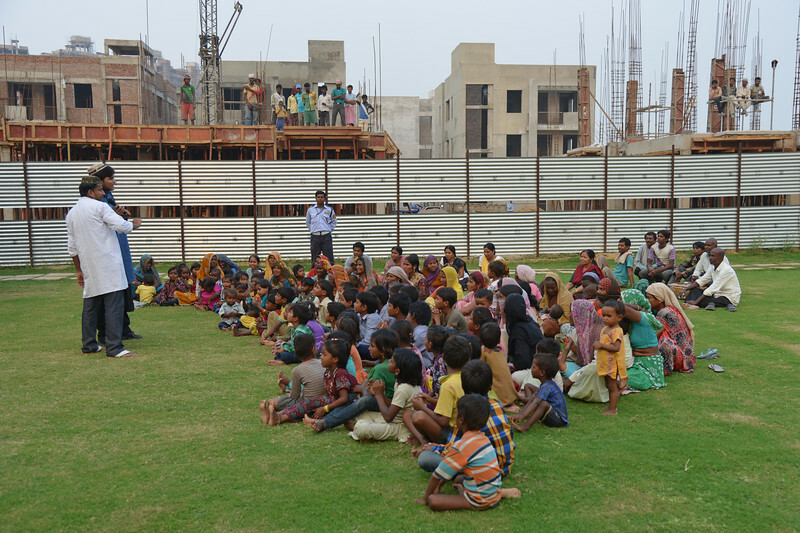 Integrated Daycare Centers for children on construction sites are run. 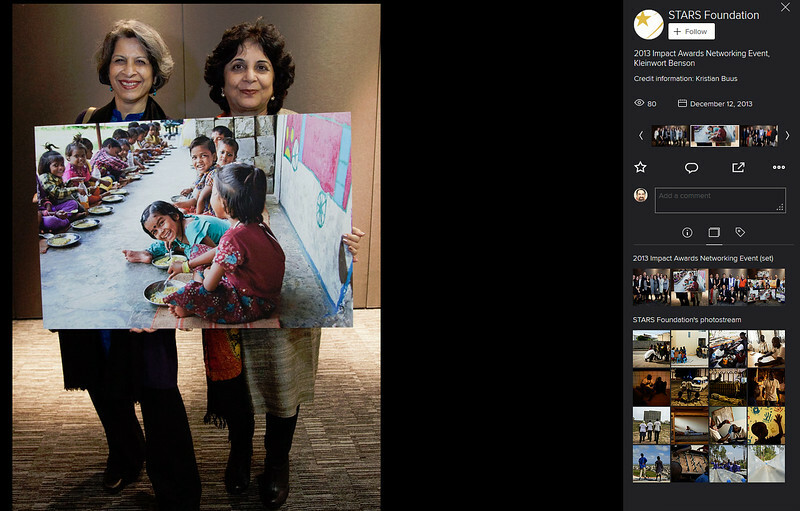 Mobile Creches has so far reached out to 7,50,000 children, trained 6,500 women as childcare workers, run 650 daycare centres and partnered with 200 builders. 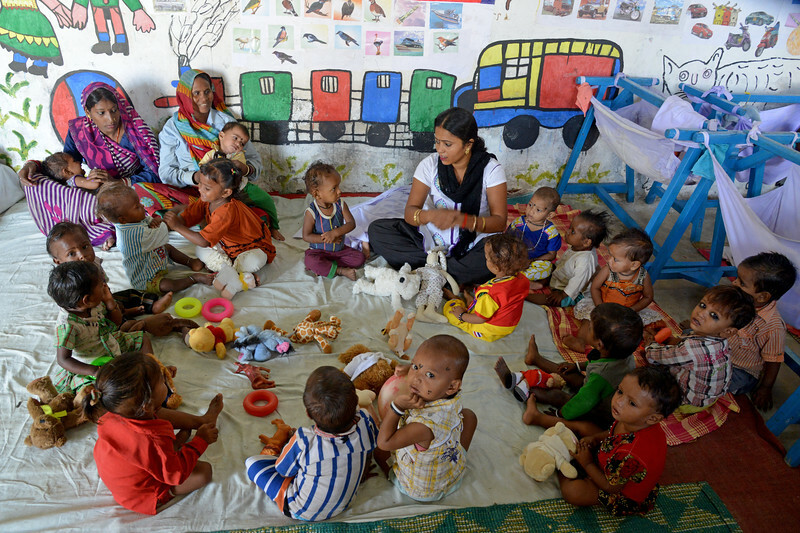 Mobile Creches runs daycares centres where children are provided education, nutrition and healthcare. 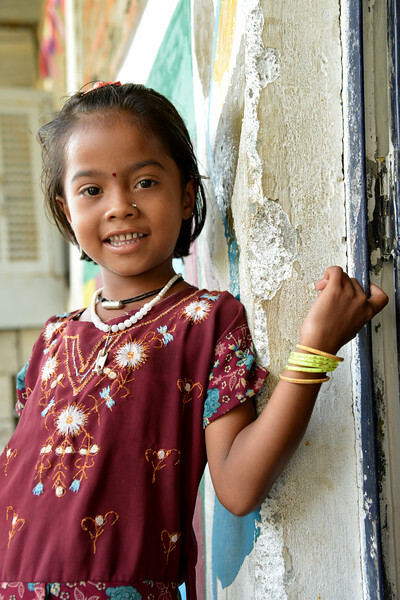 Community-women and NGOs are trained to provide care and speak-up for the child. 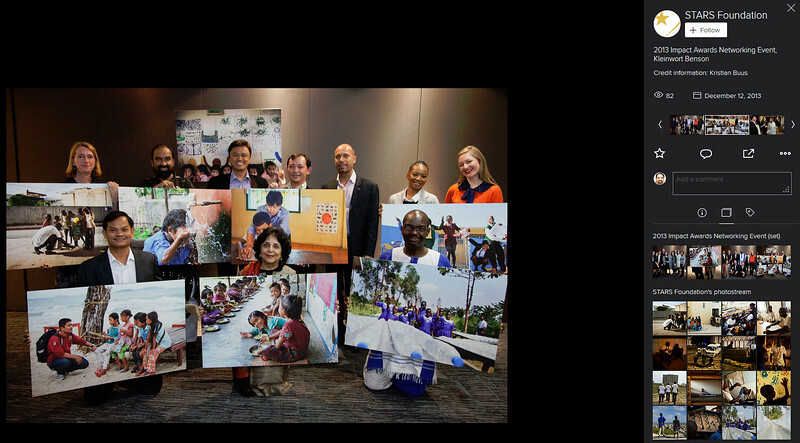 The years of experience along with strong-networks helps in the advocacy for policy-change. Ram Ratan, a young mother breast-feeds her baby taking time out from the construction work that she is doing by visiting the Mobile Creches, located very close to the construction site at Vatika-83, Gurgaon, Delhi, NCR. 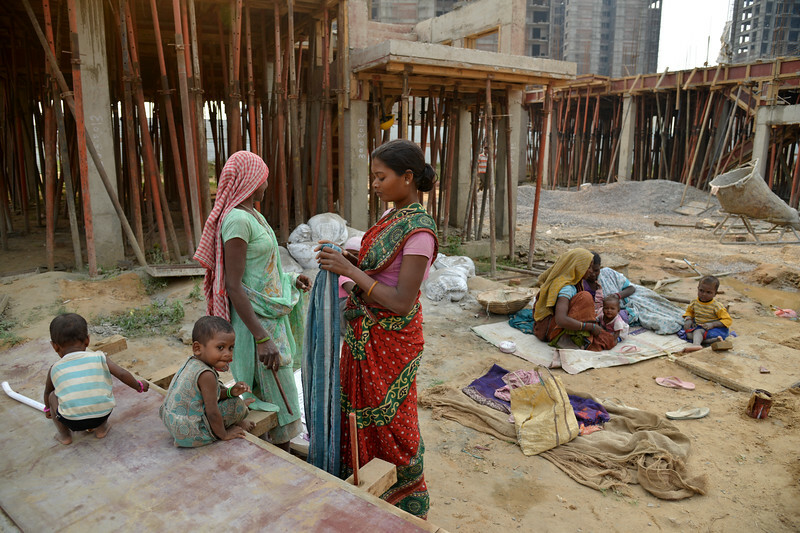 A mother working at the construction site visiting the creche to breast-feed her child at the Mobile Creches, Vatika-83, Gurgaon, Delhi, NCR. 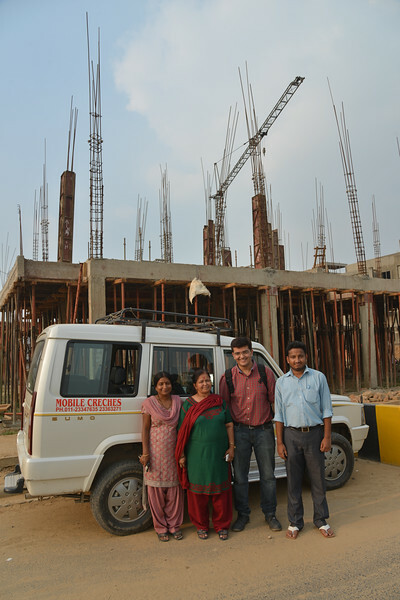 Mothers working at the construction site visiting the creche to breast-feed her child at the Mobile Creches, Vatika-83, Gurgaon, Delhi, NCR. Mobile Creches staff Pinky playing with the children at Mobile Creches, Vatika-83, Gurgaon, Delhi, NCR. 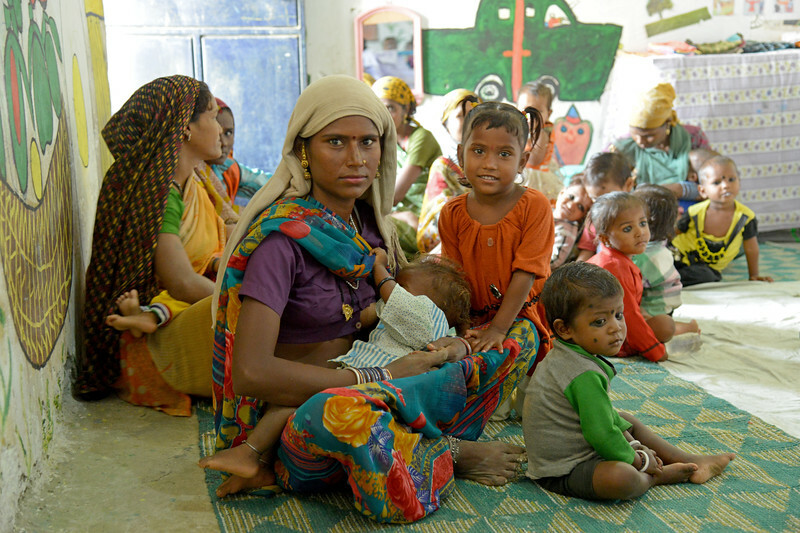 Children playing in the creche while two mothers holding their babies before they breast-feed them at the Mobile Creches, Vatika-83, Gurgaon, Delhi, NCR. 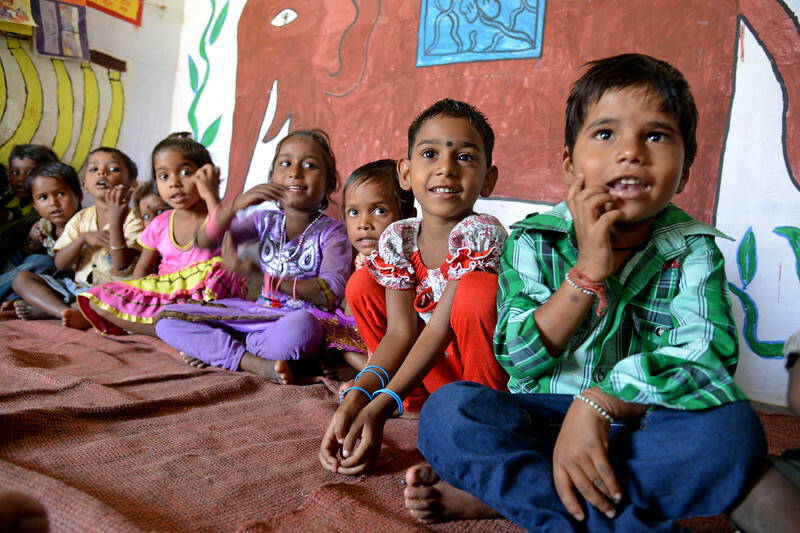 Sumit (right), Chandini and other children at the Mobile Creches, Vatika-83, Gurgaon, Delhi, NCR. 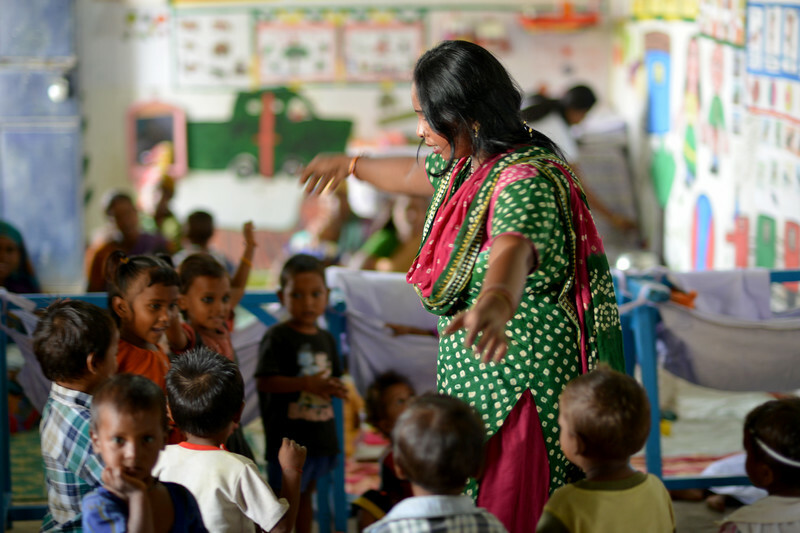 Kamini, the staff teacher playing rail-gadi (train) with the children at the Mobile Creches, Vatika-83, Gurgaon, Delhi, NCR. 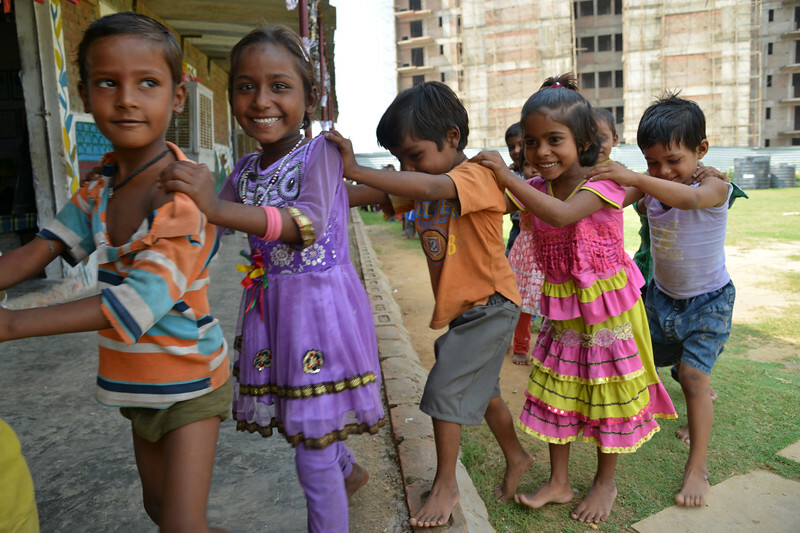 Children form a human-train rail-gadi as part of the games at the Mobile Creches, Vatika-83, Gurgaon, Delhi, NCR. Rinku, a staff of Mobile Creches showing how a bird takes flight at the Mobile Creches, Vatika-83, Gurgaon, Delhi, NCR. 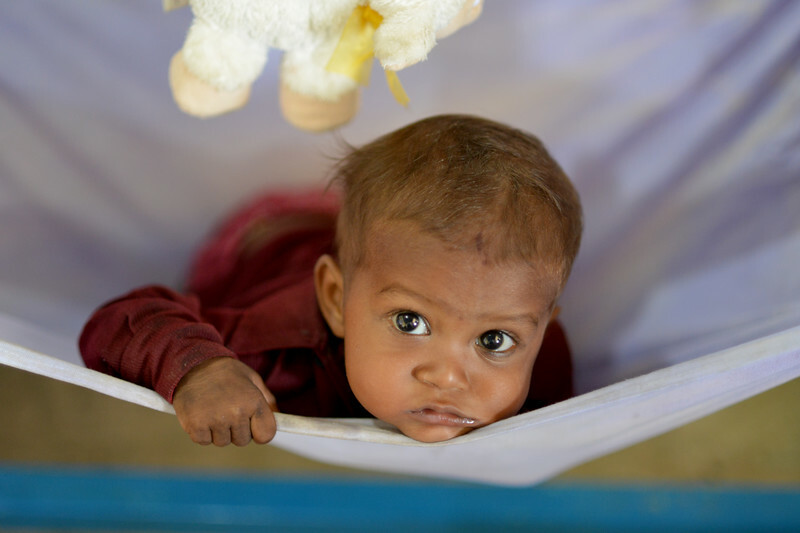 Shivratan playing in his creche at the Mobile Creches, Vatika-83, Gurgaon, Delhi, NCR. 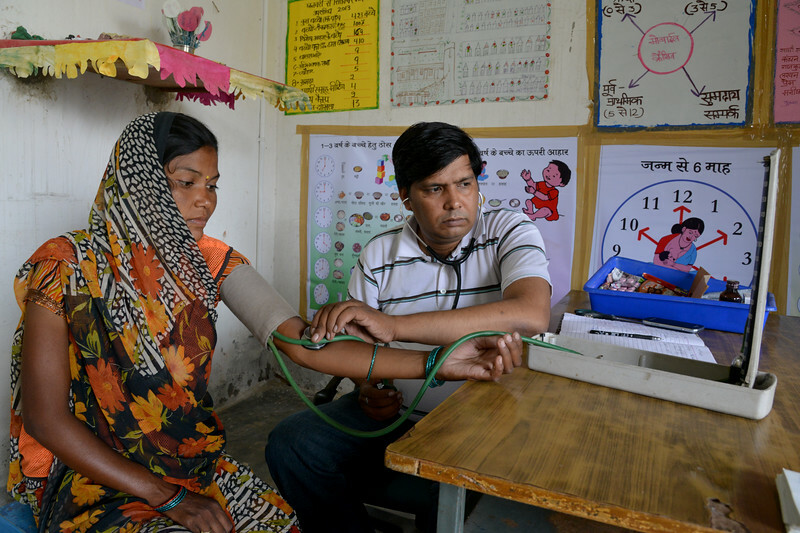 Visiting doctor examining a pregrnant lady having difficulty with vision due to pregnancy at the Mobile Creches, Vatika-83, Gurgaon, Delhi, NCR. Visiting doctor examining the children at the Mobile Creches, Vatika-83, Gurgaon, Delhi, NCR. 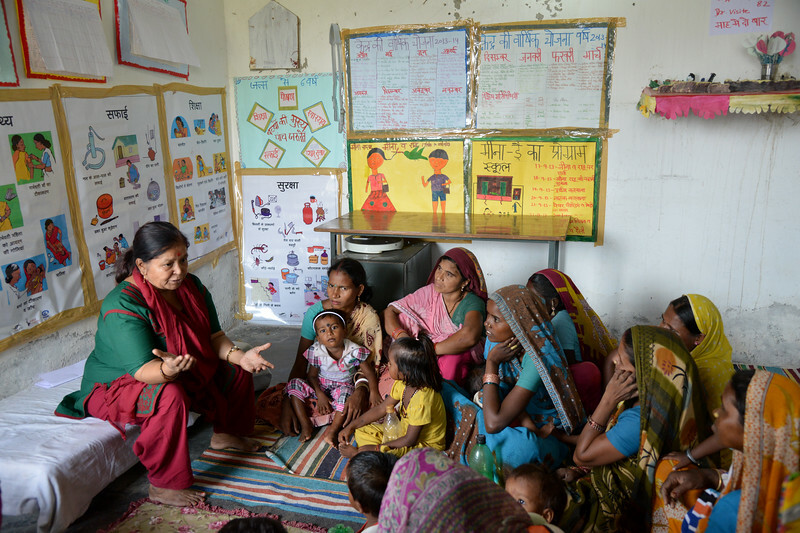 Mobile Creches conducting a meeting for young mothers on child health & nutrition. Mobile Creches, Vatika-83, Gurgaon, Delhi, NCR. 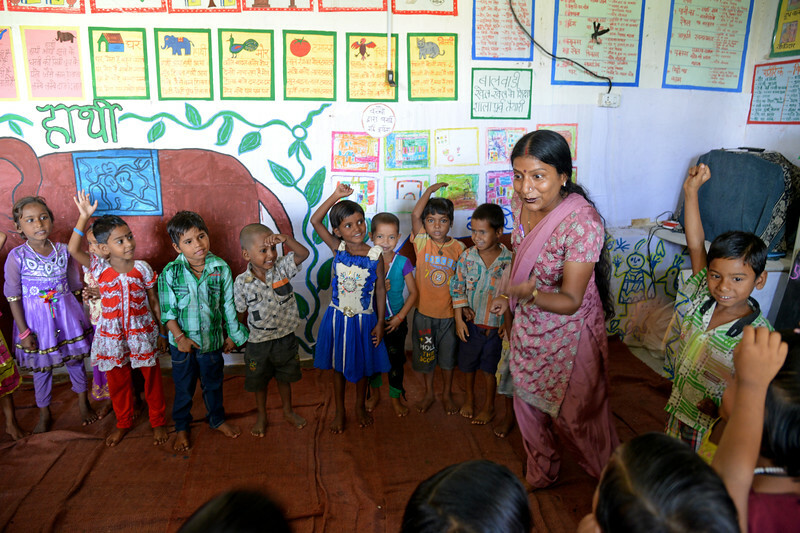 Govinda from Mobile Creches conducting a meeting for young mothers on child health & nutrition. 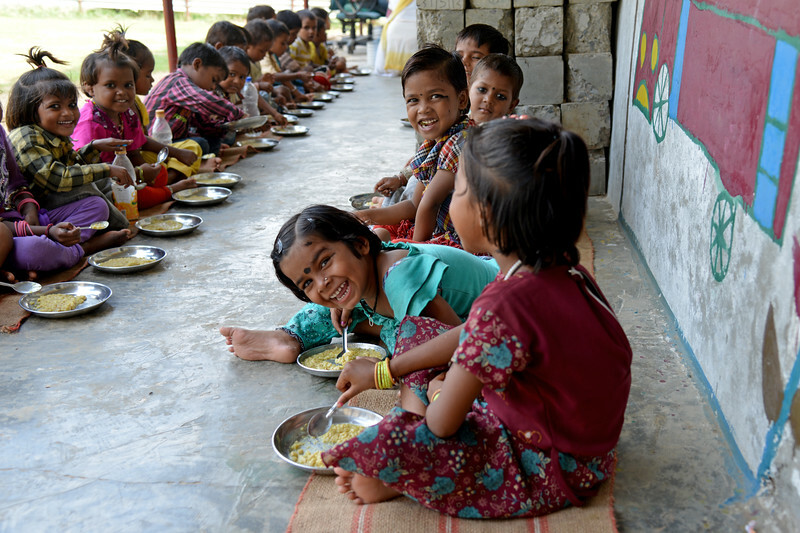 Young children having their afternoon meal at the Mobile Creches, Vatika-83, Gurgaon, Delhi, NCR. 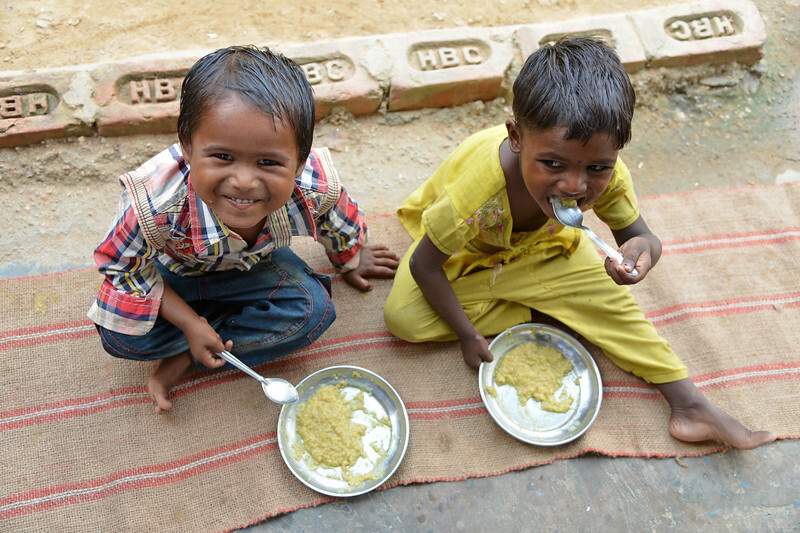 Riya (right), Payal and other children having a healthy meal at Mobile Creches, Vatika-83, Gurgaon, Delhi, NCR. 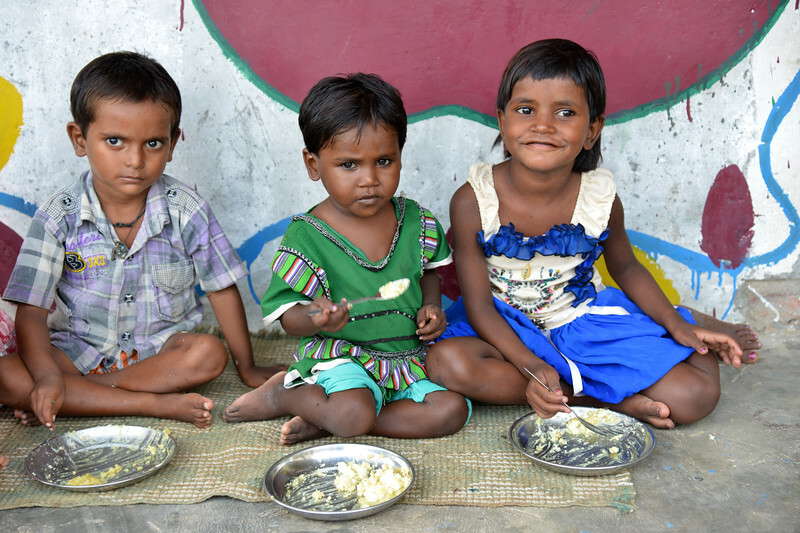 Anshu, Poorti, and Nishu having a mid-day meal at Mobile Creches, Vatika-83, Gurgaon, Delhi, NCR. 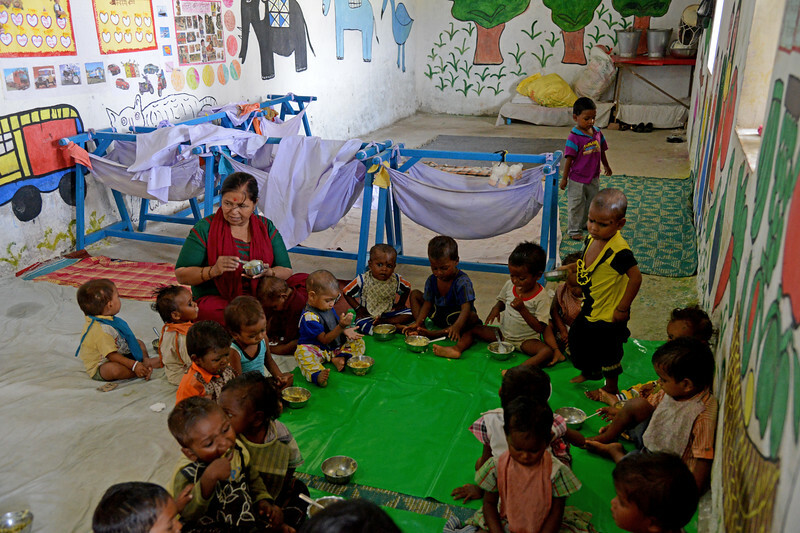 Armaan and Usha having a meal at the Mobile Creches, Vatika-83, Gurgaon, Delhi NCR centre. Riya at Mobile Creches, Vatika-83, Gurgaon, Delhi, NCR. Little girl playing at Mobile Creches, Vatika-83, Gurgaon, Delhi, NCR. 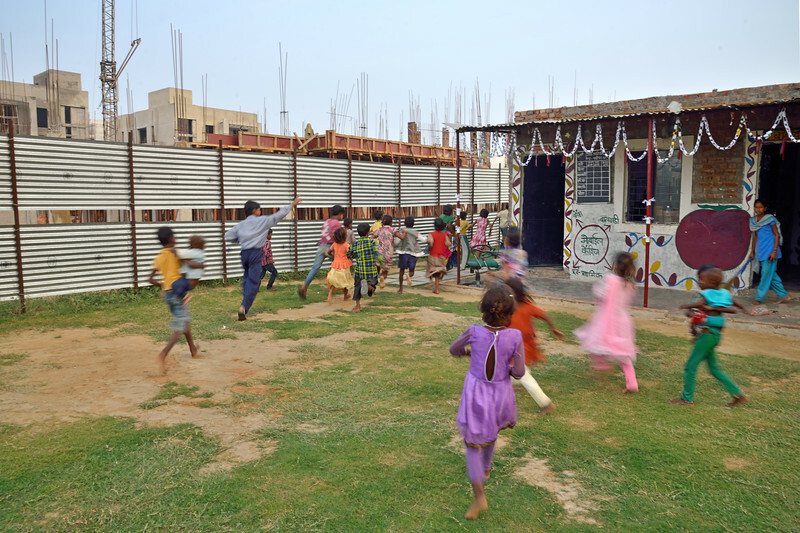 Children rushing to see the Lokdoot Natya Manch, Mobile Creches Theatre Group play at Mobile Creches, Vatika-83, Gurgaon, Delhi, NCR. Lokdoot Natya Manch, Mobile Creches Theatre Group conduting an educational & awareness generating play at Mobile Creches, Vatika-83, Gurgaon, Delhi, NCR. 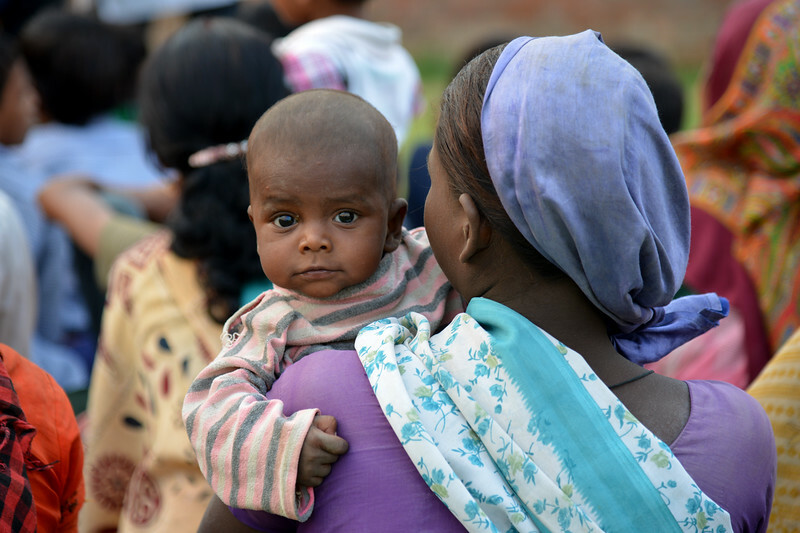 Mother holding her child watching the street play at Mobile Creches, Vatika-83, Gurgaon, Delhi, NCR. 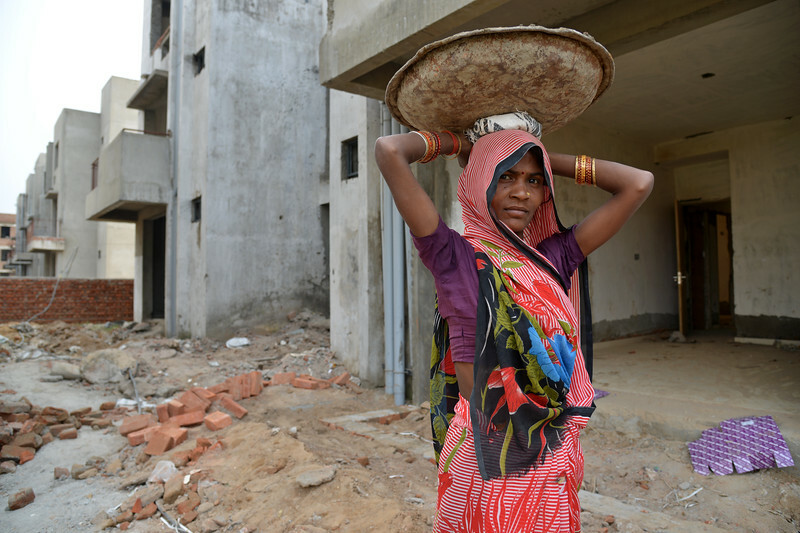 Woman labourer at the construction site. 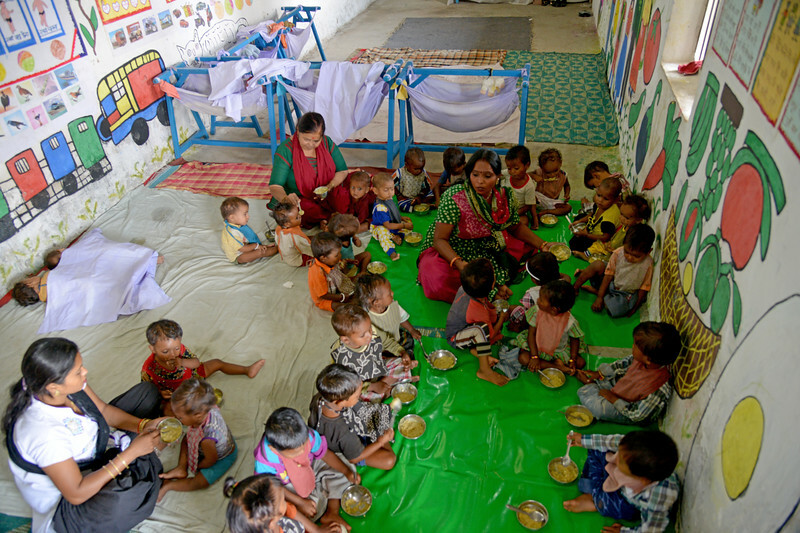 Mobile Creches runs a centre at this location at Vatika-83, Gurgaon, Delhi, NCR. 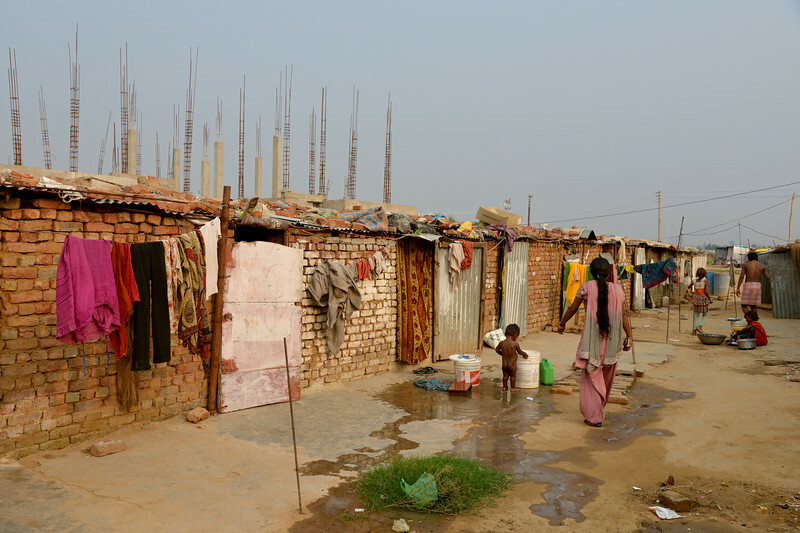 Labourer and workers living conditions at the construction site where Mobile Creches operates at Vatika-83, Gurgaon, NCR. New labourers arrive at the construction site. If the children don't go to the Mobile Creches Centre they would be spending the day in this location at the construction site itself. 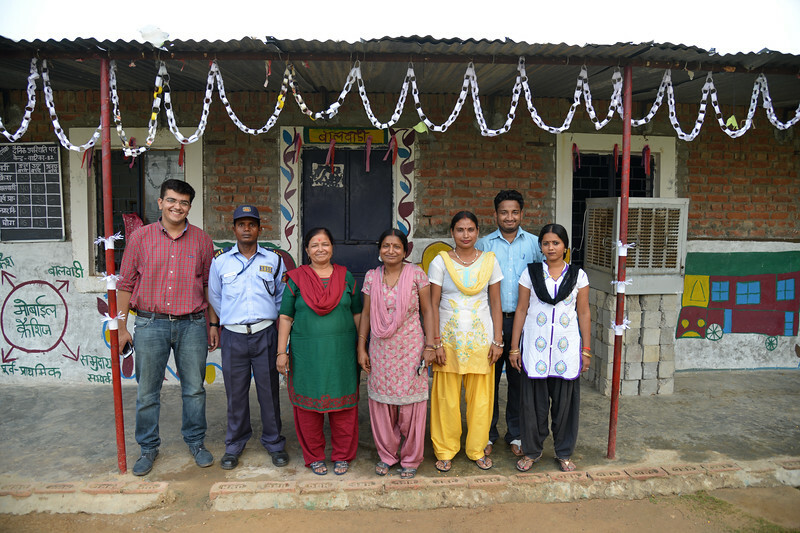 Mobile Creches team at Vatika-83, Gurgaon, Delhi NCR. Mobile Creches staff of Vatika-83, Gurgaon, Delhi, NCR.